Where do we stand – where are we going to? SwissQ has been feeling the pulse of the IT community for the past five years. 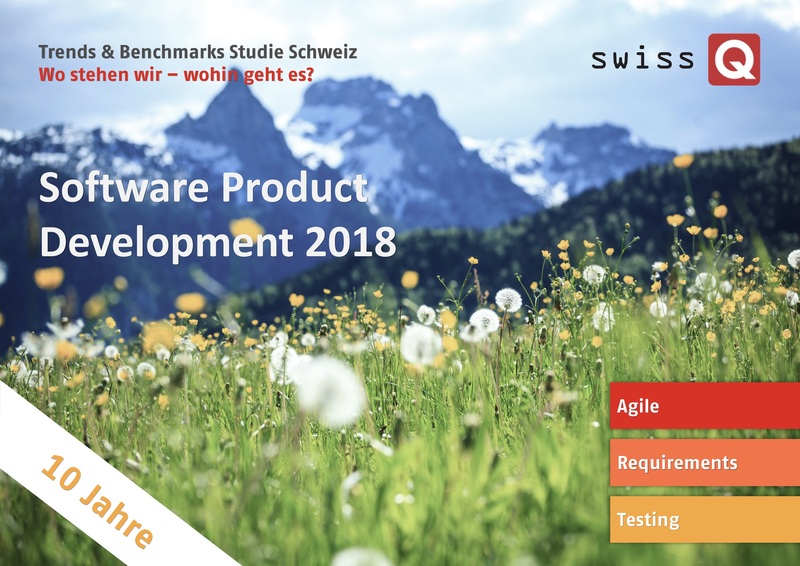 We annually publish facts and figures on the current status of software testing in Switzerland and present an outlook of the future trends. 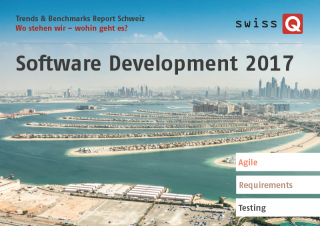 Since last year we have added the disciplines of requirements engineering and agile to the Trends & Benchmarks survey. Those will be published in separate reports. The data on which this report is based, on the one hand comes from an online survey and on the other hand from one-to-one interviews with various IT decision makers from different companies, industries and regions. For this year‘s issue we were able to make use of 580 filled questionnaires – a new record – and 25 interviews. We would like to take this opportunity to thank all of you who have contributed. Starting this year, we are collaborating on the report with the Institute of Technology Management of the University of St. Gallen (HSG). This collaboration demonstrates how important these topics have become for companies today and we are very pleased to have built a new bridge between the academic and the entrepreneurial world. Where are we now – where are we heading? 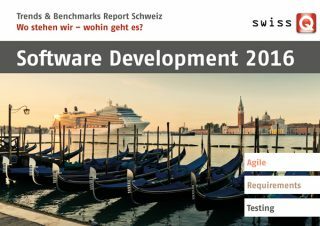 For the fourth time in a row, SwissQ interviewed the Swiss IT community about current trends and benchmarks. This year for the first time, we have specifically accounted for and evaluated their experiences concerning Agile. Not only did we receive overwhelming feedback in the form of more than 300 questionnaires, we also interviewed over 25 IT decision makers from various companies, segments, and regions about the current testing trends. 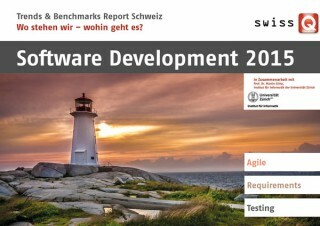 The outcome is a representative overview of the current state of agility in Switzerland in the year 2012. It also gives an outlook on the most important forthcoming trends. You can download the report here. 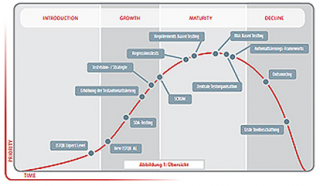 More information can also be found in the reports “Requirements Trends & Benchmarks 2012” and “Agile Trends & Benchmarks 2012“. Newspaper editors have jumped the app bandwagon. Apart from the chances severe risks need to be taken into account. This survey displays how publishers perform on the app market. 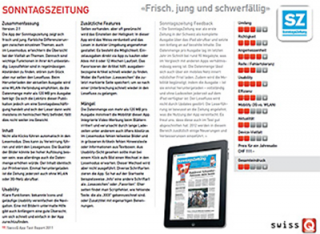 SwissQ has benchmarked a number of newspaper apps. Not only the biggest Swiss newspapers but also the neighbouring countries’ most influential news apps, Spiegel Online and Wiener Zeitung, took part. On top of that, the well renowned New York Times app was tested. It is often considered to be the sectors’ role model. 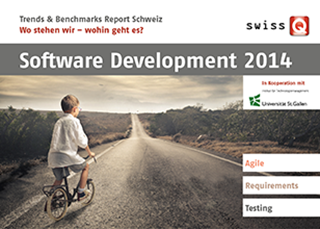 For the third year in a row, SwissQ conducted a survey on trends in testing. Objective of this survey was to detect the important topics to come in testing and test organisation. This overview is supposed to help getting prepared for future changes and, if possible, to proactively influence those. 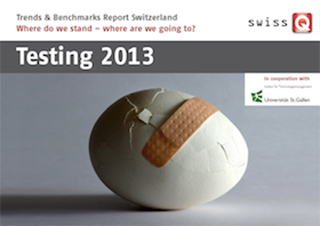 This year for the first time, SwissQ compiled benchmarks to facilitate comparison with other companies. Again, timeliness of the topics was illustrated by SwissQ’s Trend Wave®. It shows the four phases of a topic’s development in terms of their significance. This knowledge allows companies to prepare themselves according to future challenges. SwissQ offers companies to benefit from an exclusive presentation of this survey to their teams. Target audience are the testing community, software engineers, project leaders, Requirements Engineers, and the management. Aim of the presentation is to give insight from an external point of view to the changes within testing as well as sharing ideas on the further development of testing. In comparison to Software Testing Trends 2009 the agenda of testing organisation has not tremendously changed. Centralisation of test organisation, requirements based testing, and further education continues to be of significance.